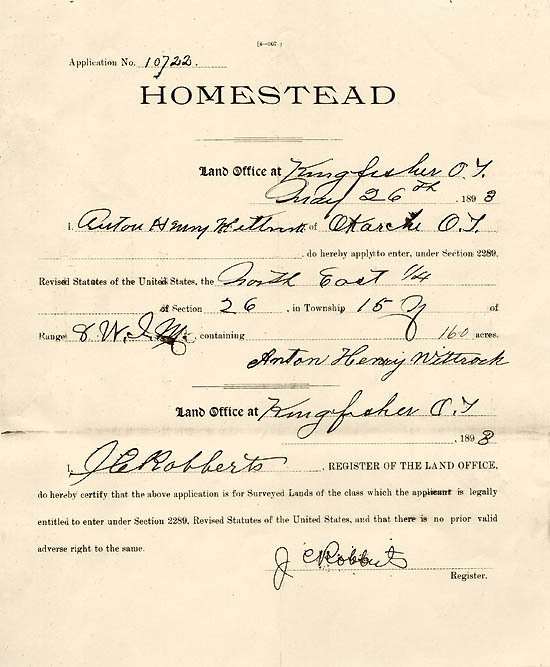 This is a copy of Anton Henry Wittrock's original homestead application No. 19722 that was filed on May 26, 1893. The land parcel is described as the North East 1/4 of Section 26, in Township 15 N of Range 8 West, I.M. [Indian Meridian]. The 160 acre farm was located three miles west of Okarche, Oklahoma. He paid a fee of $14.80 when he filed his claim. 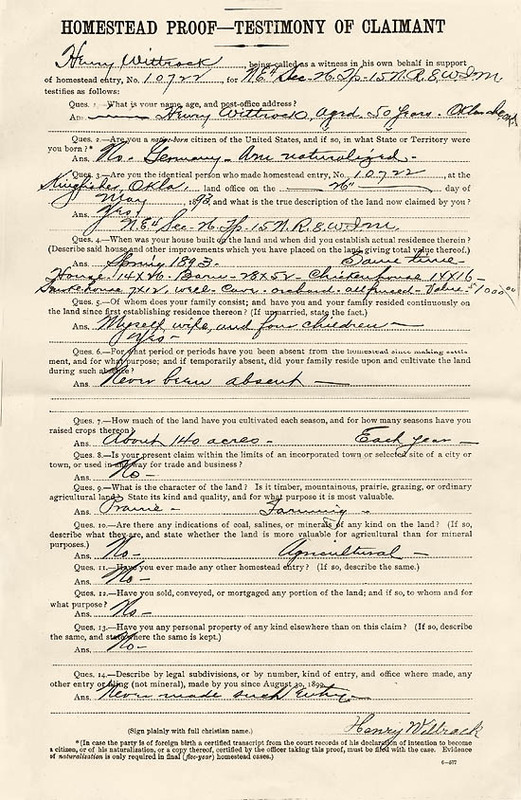 This document was filed by Henry Wittrock at the time that he made his final claim on January 22, 1901. In it he states that is a naturalized citizen, born in Germany and that he has lived on the land since the Spring of 1893. He claims that he lives on the property with his wife and four children and that he has never been absent. Henry describes the house and improvements made to the property: "House - 14x26, Barn - 28x52, chicken house 14x16, smokehouse 7x12, well, cave, orchard, all fenced, value $1000." 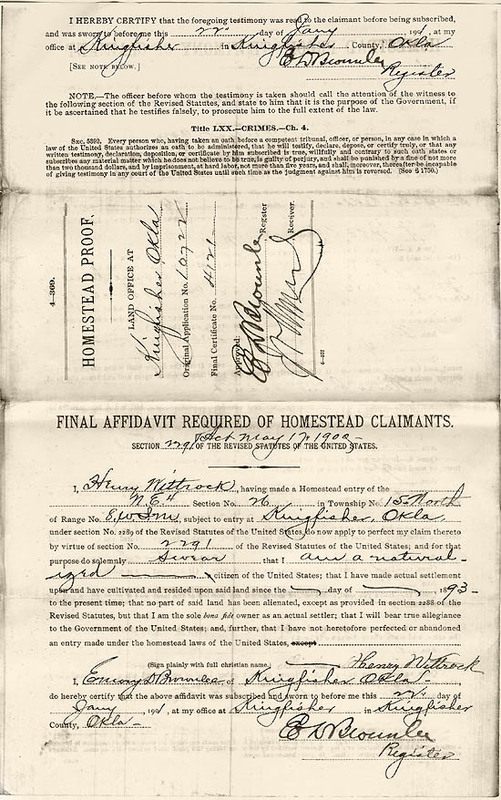 Affidavits were also filed by two neighborsNick Weber and Bernard Hebrinkwho swore that Henry had never been absent since initially filing his claim..
With this final affidavit and a payment of $4.00, Henry Wittrock took ownership of his land. The papers were filed on January 22, 1901 at the Kingfisher Land Office.